There is no design more pure and beautiful than that of the human body. When Michigan State University looked to build their new bio-engineering facility terrazzo flooring was a natural choice – like the human body it provides perfect form and function. 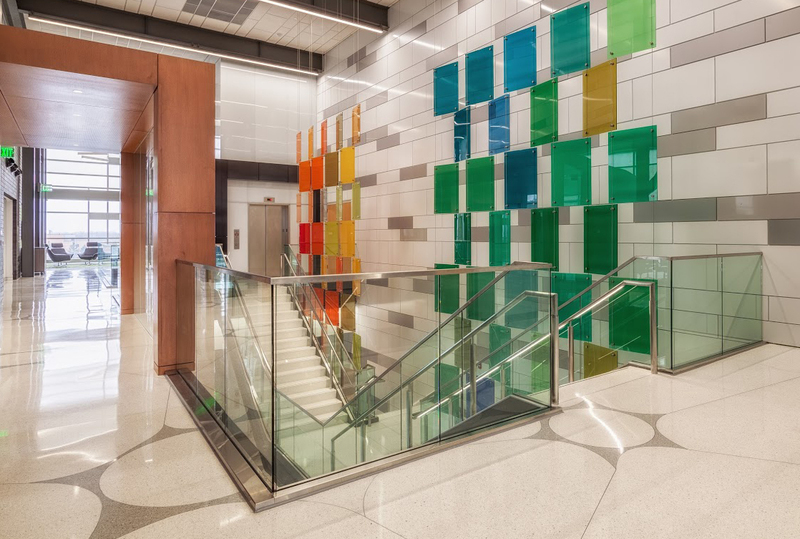 The project won a 2017 Honor Award from the National Terrazzo and Mosaic Association (NTMA), as well as a 2017 AIA Michigan Interiors Award. The new 130,000-square-foot installation spans over four floors, including a stairwell that resembles an immense, colorful DNA strand. 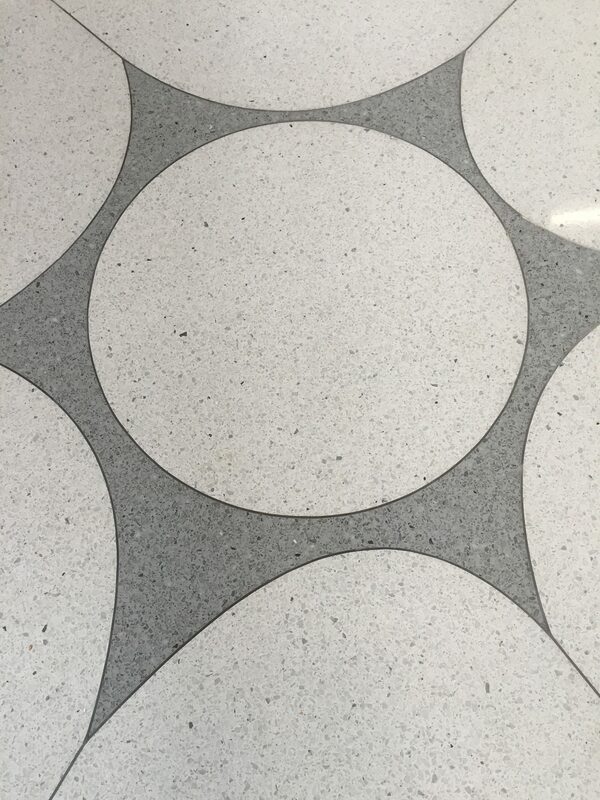 The floor design incorporates a total of 10,000 square feet of epoxy terrazzo with a starburst node pattern in five sizes scattered in a two-color pallet. The staircase, the focal point of the open atrium, consists of 168 sections of pre-cast terrazzo tread-and-riser combinations. 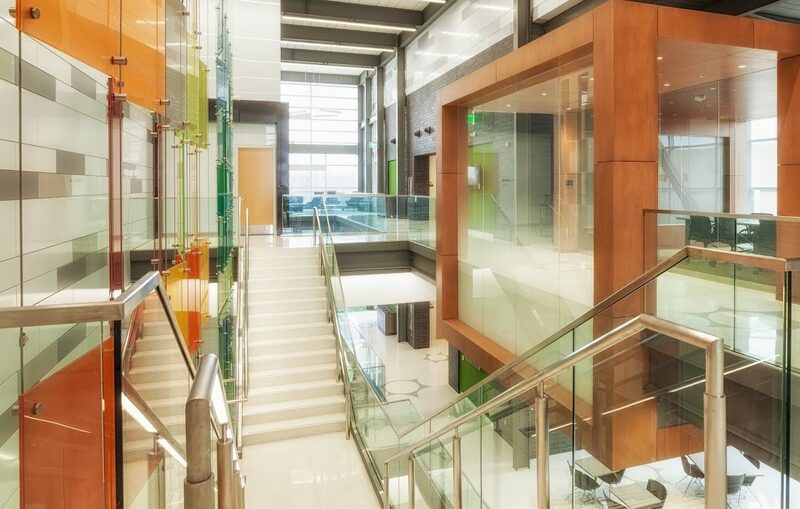 The artistic nature of the facility, particularly showcased in the DNA-like staircase, is designed to attract the next generation of biomedical scientists and help cultivate them into leading researchers. The building is purposefully open to inspire students to collaborate and conduct research that could change the world.